Our school would not be as efficient and as fun without those wonderful, behind the scene people who add SO much to every day things going on here at the ALC! We are so grateful for the support staff we have here at the ALC who do their jobs every day, with a smile and who are always trying to make things nicer for everyone here. We couldn't function without you!!! Gerald, Chad, Jay, Jason, Gene, Hayden, Karley, Paige, Brenda, And Gaye. 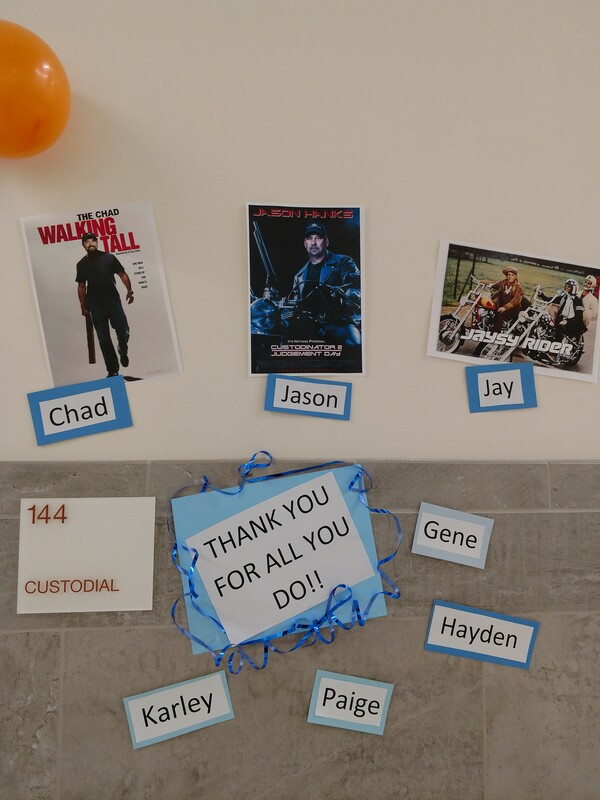 WE APPRECIATE ALL YOU DO!